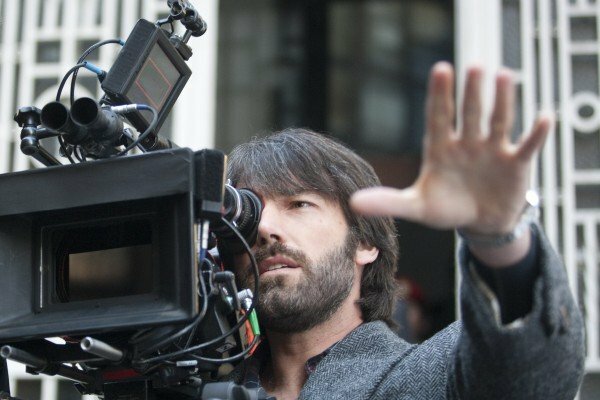 Not giving himself a moment to dwell on being the biggest Oscar snub of the year, Ben Affleck is moving right on to his next directorial project, Live By Night, and although there isn’t a specific time-frame set for the film, he has recently made some comments that hint at production beginning in the foreseeable future. In an interview with MTV Affleck was asked about dropping out of Focus. Check out that quote below. Live By Night is another movie for Affleck set in Boston, except this time it’s 1926 Boston as opposed to modern-day. It seems that Affleck will be playing Joe Coughlin, the son of a Boston police captain who grows up to work for one of the most fearsome mobsters in the city. Check out a further synopsis of the Dennis Lehane novel below. Boston, 1926. The ’20s are roaring. Liquor is flowing, bullets are flying, and one man sets out to make his mark on the world. But life on the dark side carries a heavy price. In a time when ruthless men of ambition, armed with cash, illegal booze, and guns, battle for control, no one—neither family nor friend, enemy nor lover—can be trusted. Beyond money and power, even the threat of prison, one fate seems most likely for men like Joe: an early death. But until that day, he and his friends are determined to live life to the hilt. Joe embarks on a dizzying journey up the ladder of organized crime that takes him from the flash of Jazz Age Boston to the sensual shimmer of Tampa’s Latin Quarter to the sizzling streets of Cuba. Live by Night is a riveting epic layered with a diverse cast of loyal friends and callous enemies, tough rumrunners and sultry femmes fatales, Bible-quoting evangelists and cruel Klansmen, all battling for survival and their piece of the American dream. His work on this film likely means that both The Stand and his Whitey Bulger biopic with Matt Damon will be put on hold for a while. As interesting as this project sounds, I’ve been very excited to see him direct Damon, so hopefully they’re able to get that film underway soon. Each movie Affleck directs seems to be better than the last, so if he’s able to keep up that trend, considering how good Argo is, Live By Night ought to be incredible. Obviously, it’s way too early, and probably overly optimistic, to make any claims that Affleck can top Argo, but we can hope right? What do you think Live By Night as Affleck’s next film? Share your thoughts in the comments section below.